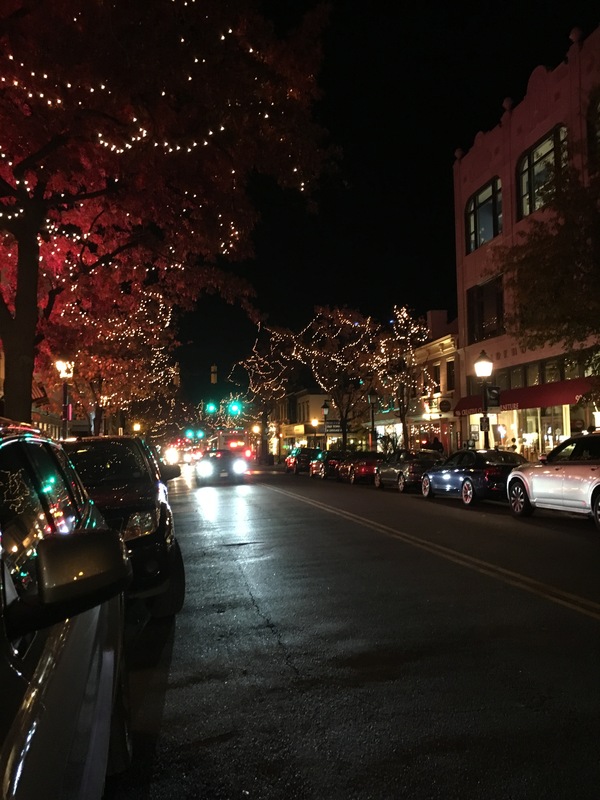 Old Town Alexandria- home for the holidays! Or those of you who read us regularly, you know that each month I take you along on a road trip to a different destination, whether it is to the mountains or the Chesapeake Bay area. However, every year for the December issue, I stay home and write about the sights, sounds and changes in Old Town, Alexandria…where I live. All of the changes that began last year are coming to fruition while some are still ongoing. Along the waterfront from the demolition dust rises the new Old Dominion Boat Club and the Hotel Indigo. The beautiful new boat club will be opening its doors to members this month. Hotel Indigo, at 200 South Union Street, opened to the public a few months ago and features the Hummingbird Restaurant and bar, the newest project for internationally known chef Cathal Armstrong. To the south of the hotel the entire block is undergoing the infrastructure development of the new Robinson Landing, a mixed-use development. A new sea-going addition will be added to the waterfront in spring of 2019. In a joint venture with private individuals, the City of Alexandria and the Seaport Foundation, the replica of the Providence sailing vessel has been purchased and is undergoing a refit in Rhode Island. As the year progresses we will have updates on the Providence. This past October the new D.C. Wharf opened on the southwest waterfront in Washington. Here in Old Town the Potomac Riverboat Company has purchased two new water taxis to transport people to The Wharf and also bring folks from The Wharf and Georgetown to our fair city. There are now water taxis linking National Harbor, Washington D.C. and Old Town. Make a day of it and take metro to Alexandria, take a free trolley ride to the waterfront and spend a day discovering Old Town and the other destinations and never have to worry about parking. While we can’t stop the development, let me take you back 320 years. The first settlement along the Potomac was established in 1695 a half mile down river at the mouth of Hunting Creek, which today is flood plain. The location was not well suited as a harbor as the shoreline was very shallow, so the settlement which was to become Alexandria, was re-established at its present site where the channel comes close to the shoreline. Oronoco and Duke streets extended into deep water, but between the two lay an arc of swampy flatland backed along Lee street by bluffs. Beginning in 1759 the filling in of this marsh and flatland began and a wharf was eventually constructed. This was the beginning of Alexandria’s future as one of America’s leading seaports. Soon warehouses were built to store all of the commerce that was coming in and out of Alexandria. Today these warehouses are home to the many shops and restaurants that make up Old Town. By the end of the 18th century Alexandria was among the ten busiest ports in America and had been designated an official port of entry. The town derives its Scottish Heritage from Scottish merchants John Alexander, William Ramsay and John Carlyle. 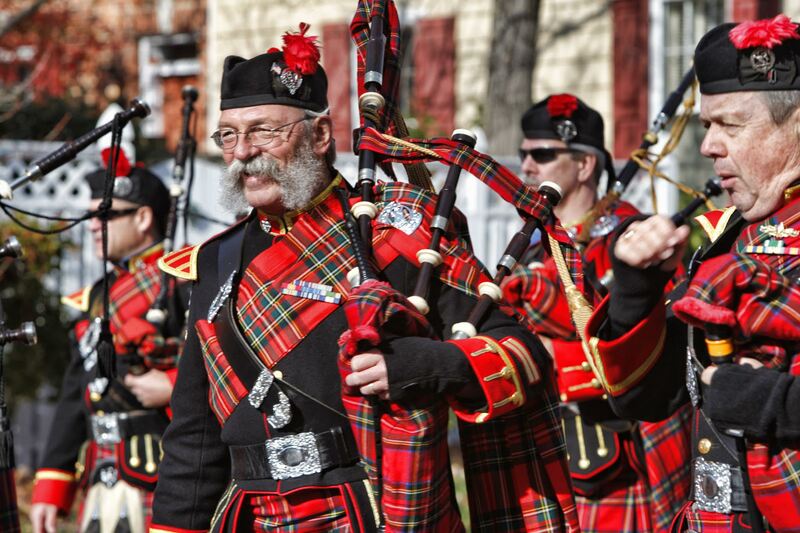 The celebration of that heritage continues today with the 47th annual Scottish Christmas Walk Weekend and parade, which is held the first Saturday every December. This year the Scottish Weekend is December 1-2 and is consistently ranked by the Southeast Tourism Society as one of the top 20 events, regularly drawing 30,000 visitors. For a complete accounting of the weekend, refer to the Calendar of Events in this issue. The Christmas Walk Parade will begin at 11am and originates at Wilkes and South St. Asaph streets and ends at Market Square with massed bagpipes, something you don’t want to miss! The Walk has more than 100 Scottish clans, pipe and drum bands, Scottish dancers, reenactments groups, service bands and, of course, Santa. This is a great day in Alexandria, but dress for he weather-it can be cold. The evening of the 2nd will feature the 18th Annual Alexandria Holiday Boat Parade of Lights. 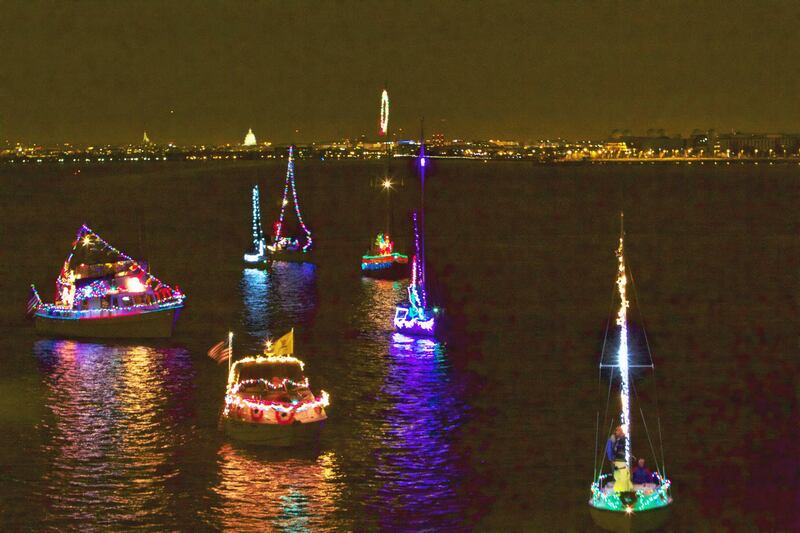 Dozens of brightly lit boats from both Virginia and D.C. will stretch along the Potomac River during the colorful parade at Alexandria’s historic harbor. The parade is usually led by the fireboats Vigilant and John Glenn. The boats are decked out to impress a panel of judges, who award prizes in a dozen categories, including Best of Show. Dockside festivities begin at 3 pm with the parade passing in review at 5:30 pm. This is a fun event. I know this for a fact because my sailboat won a prize 14 years ago! All of these events are on the 1st and 2nd but don’t forget the rest of the month. From the “Waterfront to the Metro”, Old Town has unique retail shops, antique shops, furniture stores and restaurants sure to satisfy any taste. Unlike a mall, this is a place to find that one-of-a-kind outfit, piece of jewelry, gift, a unique treasure or a work of art. The internationally recognized Torpedo Art Center should be a definite stop. Let’s not forget about the dining options here in Old Town! Just take a look at the Dining Guide in the restaurant section. There is everything from BBQ to Sushi within walking distance of Metro and the waterfront. Speaking of the waterfront and Metro, a free trolley runs every 15 minutes between the waterfront and the King Street Metro, stopping several times along the route enabling you to get on and off at your leisure. Even though King Street is the main drag in Old Town, there are a lot of other shops and restaurants on adjacent streets throughout the town. The addition of the sandwich boards at the corners of the intersections let you know what awaits on Old Town’s many charming streets. I encourage you all to consider the advertisers in this publication as your first stops for dining and shopping. They are the people that make printing this column possible each month! 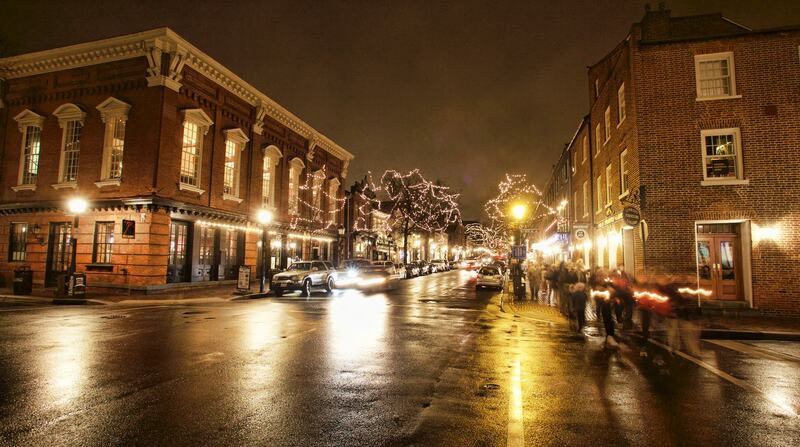 Take time this month and discover the magic of Old Town Alexandria. Merry Christmas and a Happy Holidays to you all!